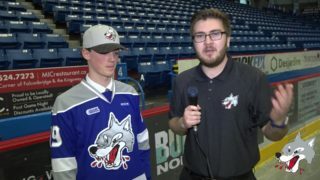 The Sudbury Wolves look to get back in the win column this weekend at home when they host two games this weekend at the Sudbury Arena. 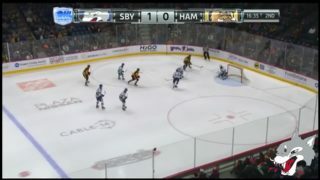 Friday night the Wolves will host the Hamilton Bulldogs at 7:00pm and Sunday afternoon at 2:00pm the Kingston Frontenacs make their only appearance this season for this matinee tilt. The Bulldogs are in third place in the Eastern Conference and are led upfront by sophomore Matthew Strome who has notched 24 points in 19 games. 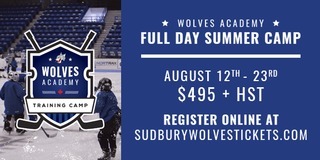 The Wolves will also have to look out for LA Kings prospect Matt Luff and Montreal Canadiens 2016 3rd round draft pick Will Bitten this Friday night. Friday’s game is sponsored by KiSS 105.3 and fans who visit the KiSS 105.3 table in the lower lobby will have the chance to win a $1000 shopping spree at What To Wear. One lucky winner will be selected in the first intermission. Don’t miss the SPHL Tim Hortons Mini Game during the second intermission! On Sunday, the Frontenacs will visit the barn on Elgin Street. 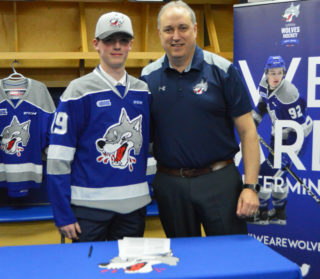 Kingston sits just two points back of the Wolves in the Eastern Conference and are led by rookie Finnish forward Linus Nyman who was selected by Kingston 53rd overall in the 2016 CHL Import Draft. The Fronts are also led up front by Carolina Hurricanes prospect Warren Foegele and Arizona Coyotes prospect Lawson Crouse. 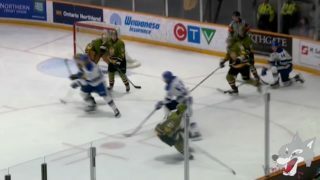 On defence, Kingston is led by Toronto Maple Leaf prospect Stephen Desrocher. 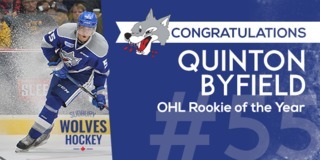 The Sudbury Wolves will welcome Glencore and Fraser Mine to Sunday’s game. Lucky fans will participate in the Glencore shoot-out during the first intermission. Sunday is Family day! Kids 12 and under accompanied by an adult will receive admission to the game for only $10.